A while back we collaborated with J.Wilkinsons to create a tasty treat. 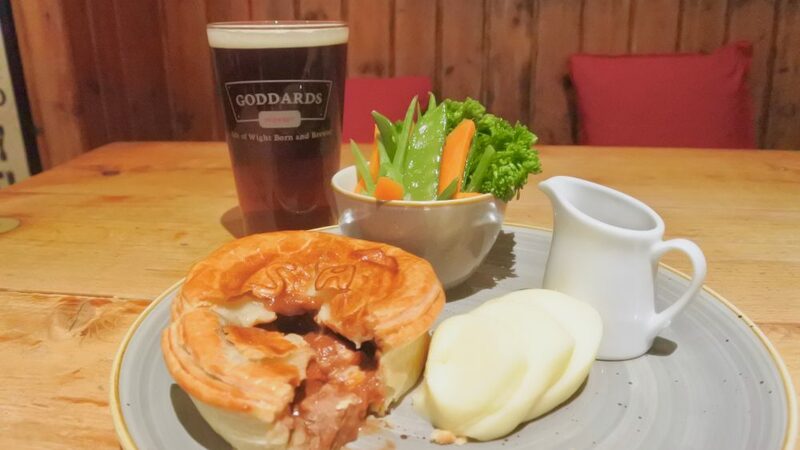 Goddards Brewery had collaborated with local family business J.Wilkinson’s, who specialise in pork pies and other tasty savoury treats, to create a twist on the firm favourite Steak & Ale pie. 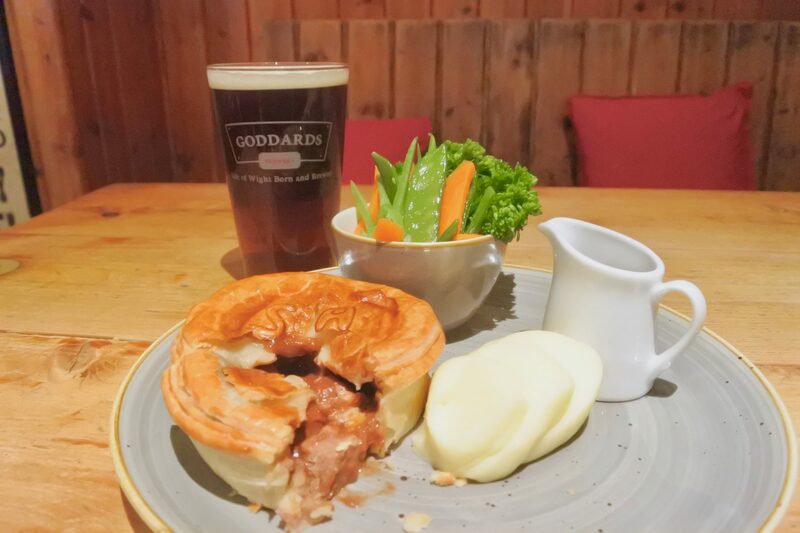 Steak and Duck’s Folly ale pie uses Goddards ale Duck’s Folly. A distinctive, traditionally brewed strong English ale. The name Duck’s Folly, is an anagram voicing Antony Goddard’s contempt for Lloyds banking group when they crashed and many people lost a lot of money in the late 1980’s, Mr Goddard being one of them. The pie and many other of J.Wilkinson’s treats can be bought at local outlets such as Farmer Jacks, The Garlic Farm Shop and Made on the Isle of Wight. We ate ours at The Seaview Hotel so we could wash it down with a pint. You can also grab a pie and pint at The Old Fort.